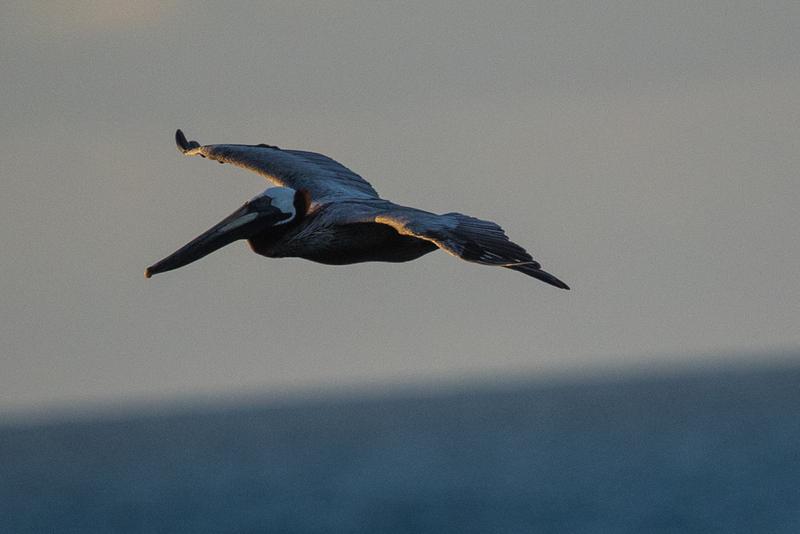 The final blog of three looking at aspects of the Pelican. 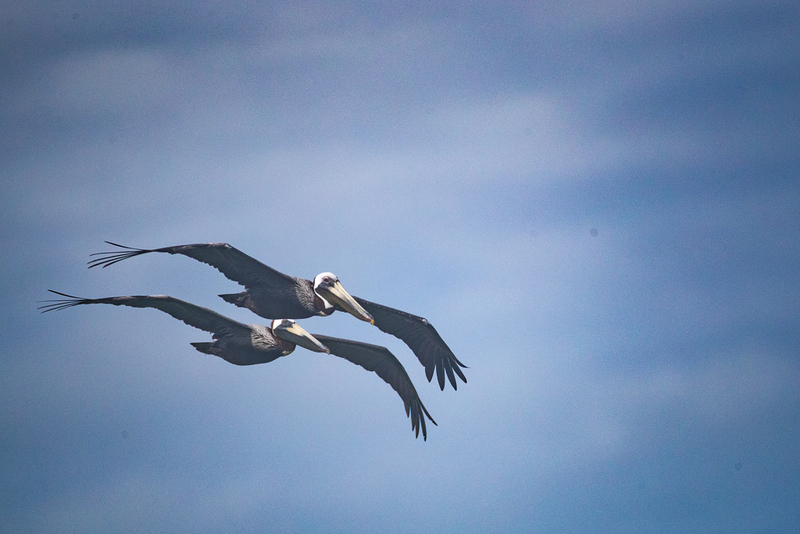 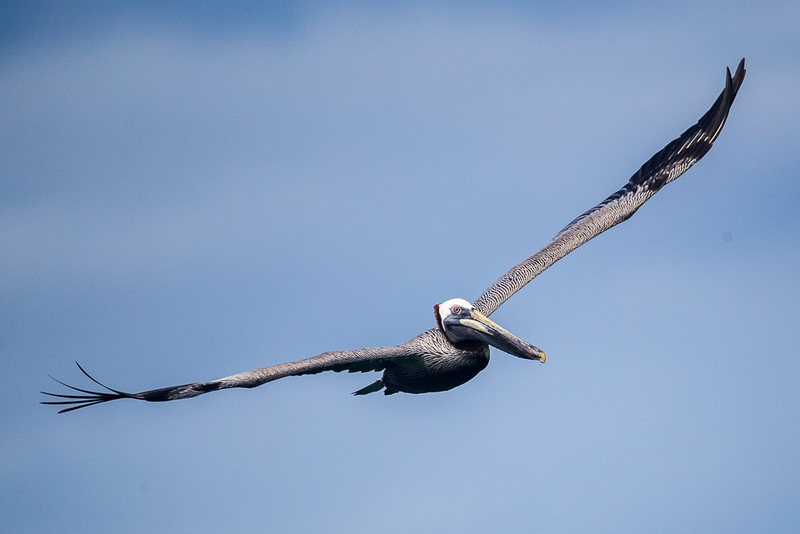 Having covered the pelican diving and taking off it is now time to look at the bird in flight. 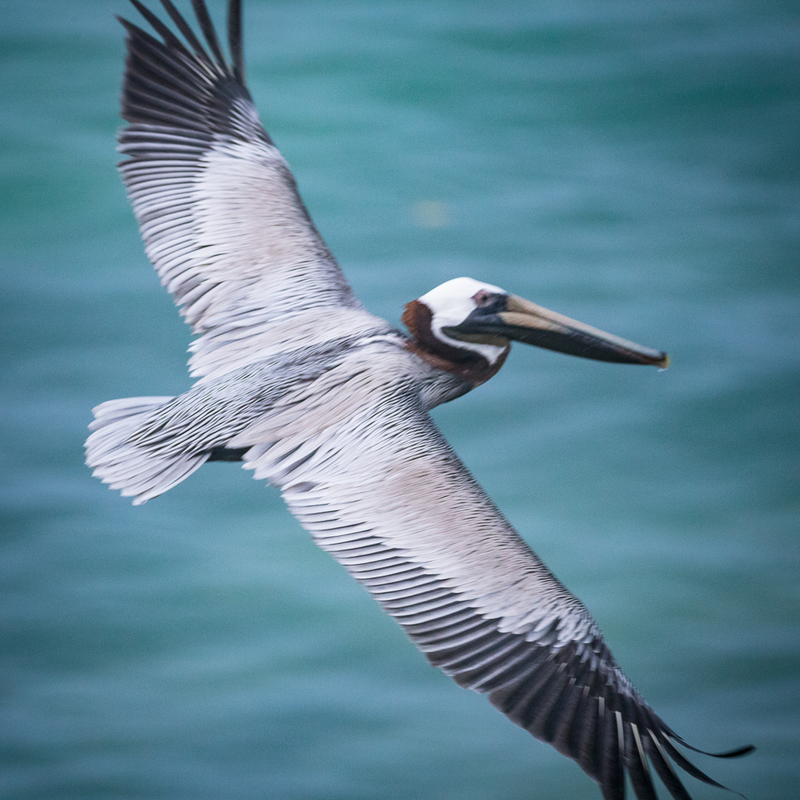 On land the pelican can be ungainly in its movements but it is surprisingly smooth and efficient looking in its flight. 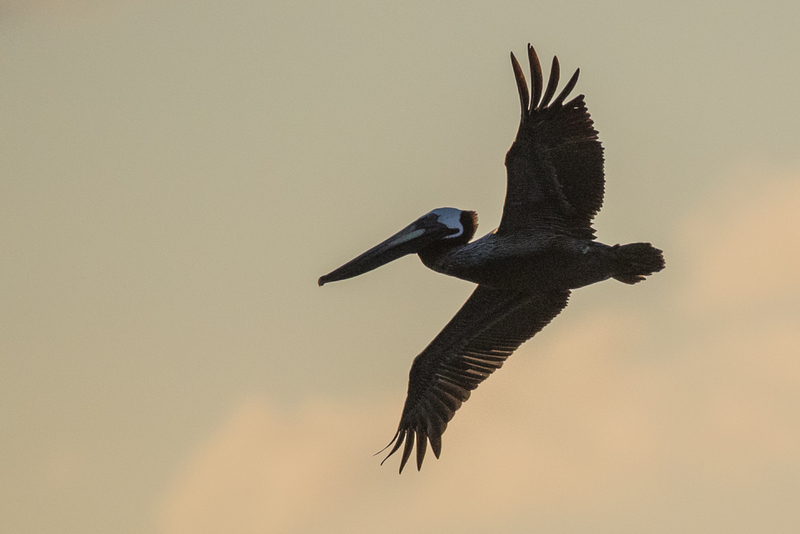 Comfortable either skimming just a metre or so over the top of the water or at higher levels the pelican has a rhythmical tempo to its wing beat with powerful downstrokes when required. 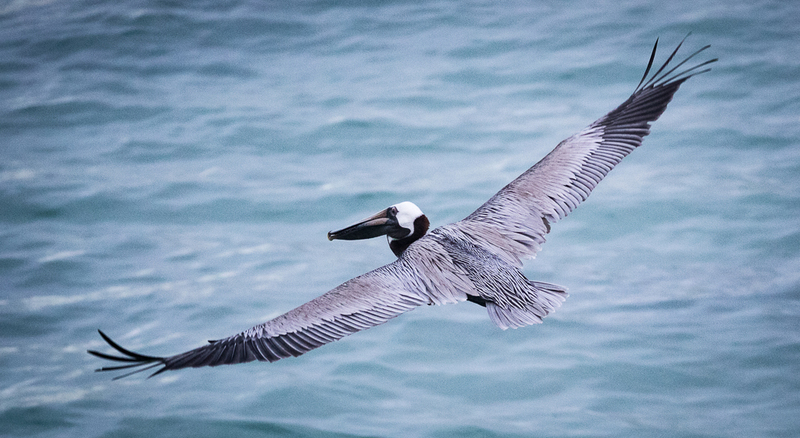 Though the wings are long they also give the bird significant agility as covered in the blog about diving. 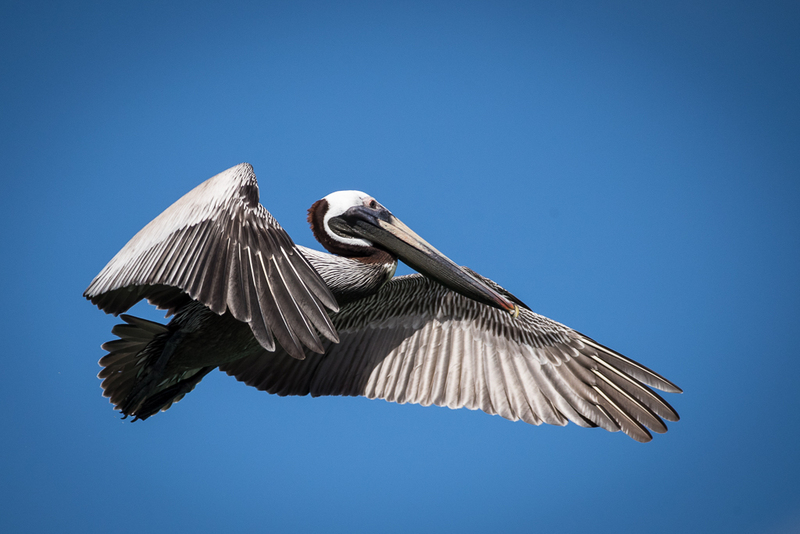 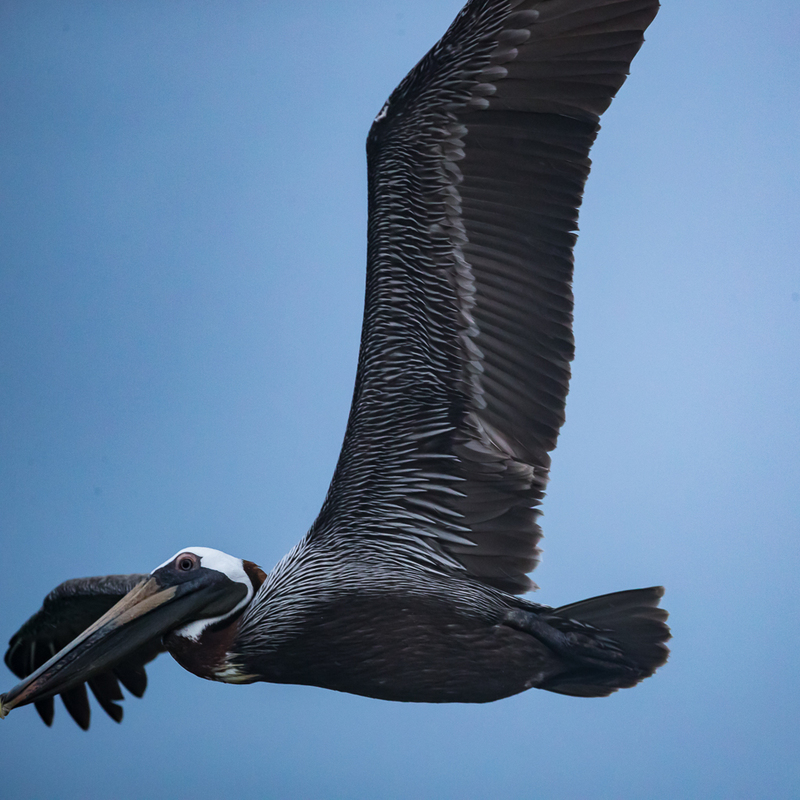 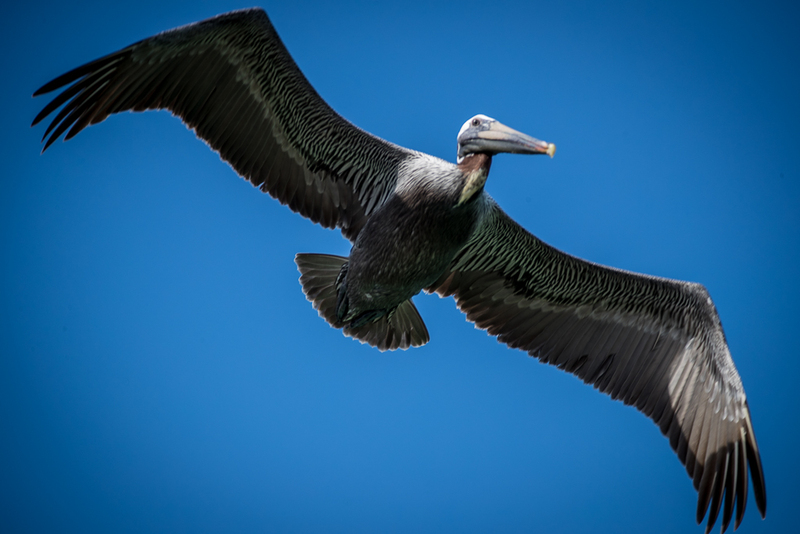 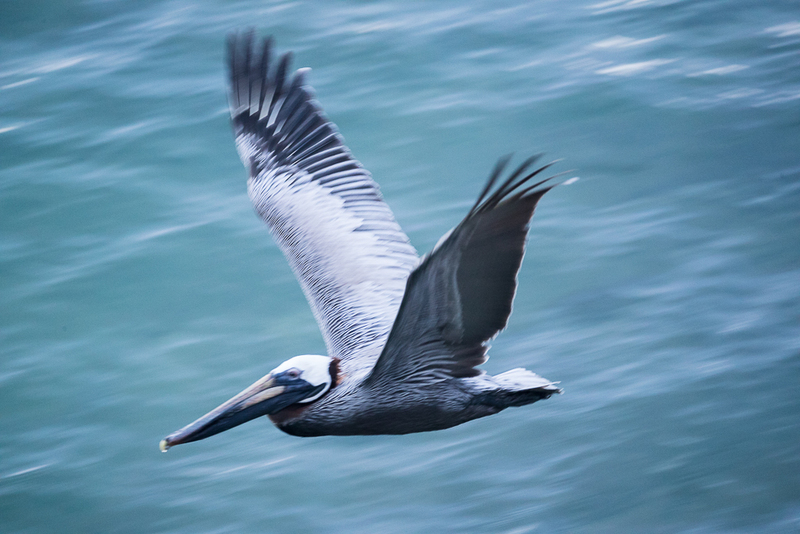 Hopefully through the images in this blog you will get an idea of the different feather types that make up the wing, head and body of the pelican and also an idea of the length of the wings to its body and of course to its long beak with the bulbous tip. 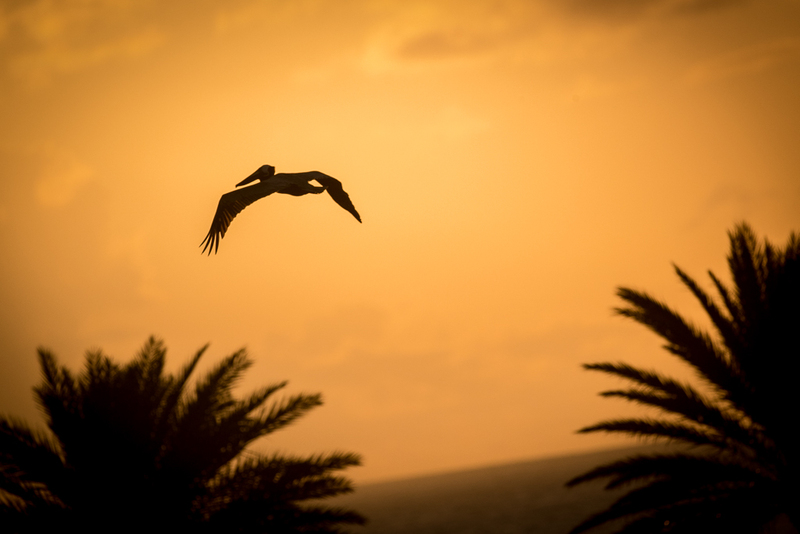 And finally the pelican flies off towards the setting sun over a couple of palms gentle swaying in the last of the day's breeze.